The #1 provider of in-office hair services for corporations. 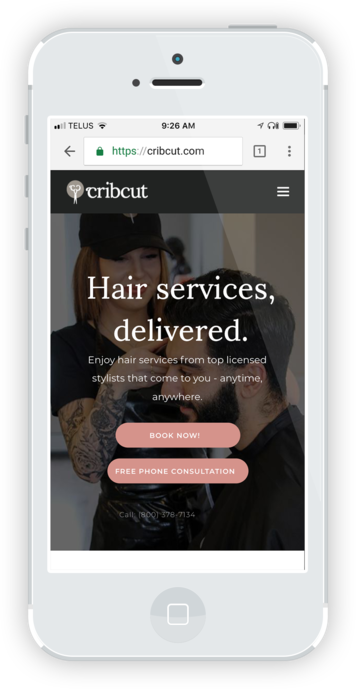 Improve the workplace and employee morale with Cribcut in-office hair services – the ultimate convenient & enjoyable office perk! How does hair services at work, work? You choose the frequency; one-time company event, monthly or bi-weekly employee perk. Our guarantee is simple: no hair is left behind. Cribcut stylists provide an array of cost effective men’s & women’s hair services. We handle 100% of the bookings and logistics for you. Hair stylists & barbers, who are licensed and vetted by our team, travel to your workplace with all equipment needed. All bookings are handled on our end with your employees to ensure a seamless process. Sit back, relax, and have your employees enjoy and convenient and professional service. 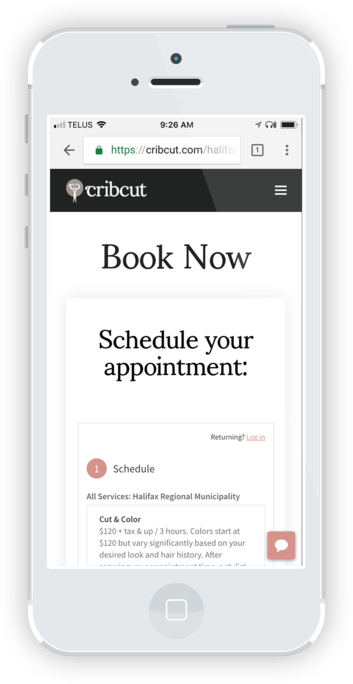 We've had Cribcut come into our office regularly for the past year, and our staff loves the convenience of getting their haircut at work! All of their stylists are extremely friendly, and they come in and set up with no effort from me or my colleagues. Our staff really enjoy the value Cribcut offers them and coupled with the convenience of using the service at work, it allows them to have more time for the important things! I would highly recommend Cribcut. Office perks make employees excited to go to work. Break up the ambiance in the office with a convenient, enjoyable hair service. Pricing is lower than $30 per service. Provide a great perk without breaking the bank! We handle the logistics! Employees book their own service with our custom booking page branded to your company. We offer a 30-Day-Guarantee that you’ll be thrilled with our service, or you don’t pay! Change your life. Go mobile. Apply today and a talent acquisition specialist will be in touch! Hair services delivered to you anytime, anywhere.